These work synergistically to offer you a three-pronged approach to fat burning by increasing your fat metabolism, boosting your immunity and supporting optimal mental performance and moods. OxyShred also includes a full spectrum of B-vitamins which promotes and supports energy levels. Additionally, OxyShred has a light diuretic so you don’t hold onto excess water weight. OxyShred is a scientifically researched and efficaciously dosed potent thermogenic fat burner. It will stimulate your body’s fat receptor cells and boost your metabolism to promote an increased level of fat cell break-down, known as “Hyper-Lipolysis”. OxyShred also has the added benefits of kick starting the metabolism, boosting immunity and providing a natural boost of energy. Oxyshred is a unique fat burning formulation offering a well-rounded approach to fat and weight loss. EHPLabs broke the mold with the use of a powder (instead of pills), their idiosyncratic choice of flavours and ingredients plus a shift away from stimulants. Oxyshred is a versatile fat loss supplement; perfect for those who want to use fat loss supplements for a longer period or in conjunction with pre-workout supplements. It’s definitely worth trying and one we believe will meet or exceed the expectations of 95% of users. Once taken for a few days or more, results will be undeniable and every user notice the effects. OxyShred is a once in a generation fat burner, more advanced in every way than other leading products on the market. Fast track your road to a lean physique & buy OxyShred using Afterpay or your preferred payment method today! Averages based on 94 total ratings. Noticed a difference after 1 week of use. I continue to use it to shred and for pre work out. Kiwi Strawberry tastes nice. Mango not great. Amazing product, I get the boost i need for the day and the Gym when I drink this. The flavor is awesome as well. not too sweet. My energy levels for the day are amazing when i drink first thing in the morning before my gym workout at 4.30am each day. Been using oxyshred now for approx 4 weeks (Guava flavour) and have noticed my mood and energy levels throughout the day (especially at work) are at a medium/high. As a preworkout it gives a reasonably good lift/buzz to power through my sessions. During the 4weeks period of which I’ve used it without changing anything re:diet and training plan I’ve noticed a 2-3 kgs weight loss. Lastly the Guava flavour is delicious. Love the Kiwi/Strawberry OxyShred. Great product to use in conjunction with my other supps. great product for fat burning i've lost 15kgs using this product would recommend. Good flavour, and gives a great morning or pre-workout boost. Great energy boost. I love this flavour. I highly recommend this product! I've cut body fat from 21% to 13% in 4 weeks. I can't say that all the exercise I've been doing hasn't also attributed but this stuff has helped with energy to get me going in the morning. Mr supplement has always been my go to store because of the sheer fact that they tend to deliver overnight. Oxyshred has always been a fantastic choice for beginners and advanced bodybuilders, and it comes in a wide variety of awesome flavours. I highly recommend this for anyone who wants to enhance their options for weight loss and has a strong set of goals they want to achieve. I cycle this on for a month or so, then off for 6 weeks. Seems to make a difference - I'm more alert afterwards, and not reaching for pre-workout as often. Will training it helps me drop down a bit, cant find any 'thermo's that do a better job. My favourite thermogenic and pre work out, doesn’t stain your teeth blue either haha. Wasn’t a huge fan of passionfruit but guava is delicious ! Guava paradise is great tasting and already providing me with great results for weight loss. Must try if you haven’t already. Great flavour with good results as well. Increased energy levels and I don't get hungry. Would recommend this product. Love this stuff!! I have had no bad side effects, the flavor is great, my energy levels are up and it is also aiding my weight loss. Guava Paradise is delicious, highly recommend this supplement to anyone trying to lose weight. Definitely worth the price tag. Saw the weight loss benefits within days. Gave a satisfying energy boost without it being overdone or messing with sleep patterns even when used for an evening session (6/8 pm). As and added bonus the passionfruit is easily the best tasting pre and fat burner sup I’ve used. Can i mix beta alanine with oxyshred in a pre workout drink??? Cheers. Yes you can mix the beta alanine with OxyShred. can i have 1 scoop in the morning and 2 before my workout? If you have assessed your tolerance and taking 1 scoop is okay with you and you're alright with caffeine then you can take 2 before training. This product doesn't contain any lactose or dairy ingredients in the product. Can I add a sccop of pure creatine to oxyshred? Yes you can add a scoop of creatine together with OxyShred. OxyShred is best taken on an empty stomach first thing in the morning and you can take it again before or during exercise. To get started you just purchase the OxyShred itself. You can either purchase online or come into our Sydney or Perth store. Unfortunately, we don't get samples unless the supplier has issued us. OxyShred is in powder form which is mixed with water. Since this is your first time taking it, I would suggest taking half a scoop first to assess tolerance and do not take after 5pm unless you're okay with taking caffeine. Does Oxyshred contain higenamine HCL? Hello, Can you recommend two products I should take as together as a pre/post workout pack? My goal is lean, feminine muscle. Work out 4x/week. You can consider stacking OxyShred against a protein powder like: 1. Elemental Xtreme Whey - https://www.mrsupplement.com.au/100-whey-protein This stack includes OxyShred you can use as a pre or during your training & you can take this protein powder after your workout to add lean muscle. G'day, I'm taking oxyshred as soon as I get up in the morning, and I normally train at night time or during the day, will that scoop still take effect on my workout or will I need another before my workout? It is best to take another scoop before your workout for it to take effect. However, if you are training at night I would suggest taking half a scoop unless you can tolerate caffeine. Can you use Oxyshred alongside a creatine supplement like Cell Tech? Will the carbs in Cell Tech interfere with Oxyshred? If so what creatine would be recommended alongside Oxyshred? If your goal is to lose weight, I would suggest taking another creatine supplement together with OxyShred. Taking CellTech may intefere with your process with OxyShred. You can consider the following product: 1. Optimum Micronised Creatine - https://www.mrsupplement.com.au/optimum-nutrition-micronized-creatine This can be mixed together with OxyShred if you like or you can take it later on in the day. Is this product dairy free. I have tried various weight loss shakes which resulted in cramps, wind and diarrhoea. what is the best way to stack oxyshred and shredding matrix? I would recommend starting off by taking OxyShred in the morning on an empty stomach and if you're training you can either take it before you train or during training to help you lose fat during training. As for the Shredding Matrix, I would suggest taking it as a post workout. Depending on what your goals are for maximum benefit of losing weight you can use the Shredding Matrix up to 3 times a day & can be used as a meal replacement. Does this contain any banned substances at all? It says it does in fact contain a banned substance on the ASADA website. Have they changed this formula? OxyShred did have a banned substance before but it has been now reformulated and does not contain any banned substances. Hi does this product contain artificial sweeteners ? Yes it does contain artificial sweeteners. Can this protein help build muscles? If your goal is to lose weight, I would say the products you listed is sufficient. You may not necessarily need the fat mobiliser and carnitine. You'll have a combination of fat burners and fat metabolisers and the main role for fat metabolisers are to reduce the fat storage in the body by converting into energy. It is mainly used to help get rid of stubborn fat on certain areas of the body. As we aren't qualified in the field of drug and supplement interactions. I would suggest speaking to a professional before consuming any supplements. I have been taking Oxyshred once a day in the morning for 30 days, should I take break now or finish the tub? The guidelines suggest to take a 2 week break once you finish the tub so I would suggest to follow that first. Hi I want to lose stubborn fat and slim down while toning some muscle. Is it good to have this as preworkout and then the Elemental Shredding Matrix after a workout? For your situation that would make a good combination. Hi. Is it ok to stack this with Cellucor C4 50X? As Cellucor C4 50x contains many stimulants and so does OxyShred I would suggest to take them at separate times but not at the same time. Hi Can I take oxyshred with WPI in order to loose stubborn belly fat tone muscles and bulk a little.? Are there any side effects for ocyshred? I would suggest stacking OxyShred against a weight loss protein such as Elemental Shredding Matrix to lose stubborn belly fat and maintain muscle. OxyShred does contain caffeine content so its is not advised to take other products containing caffeine as it may cause negative side effects such as diarrhea. Side effects generally are unlikely, but if its your first time taking it I would suggest starting with a smaller dosage. Is this a months supply? The serving size is equivalent to approximately a month. Is this product gluten free ? Look for a fat burner that's gluten free? Should I still have a two week break in between tubs if I'm only having one scoop 5 days / week (mon-fri)? I would suggest to still follow the guidelines and take a 2 week break in between tubs. Although you are not taking a high amount of during the week, taking thermogenics drain the adrenal glands so it is important to take a break. Yes you can take Oxyshred in the morning and the pre workout before your training. If I am wanting to cycle weight gain (bulking) creatine and gold standard whey protein. Then use Oxyshred for fat loss what would be the recommended cycle ? 1 month each? I'd recommend based on the information provided that a 6-8 week bulking and 6-8 week cutting cycle be used. Unfortunately 1 month is not quite long enough in our experience. Can you take OxyShred in the morning with BSN No-Xplode? Yes you can take the together if you like. If I have problems to sleep, will this product be bad for me? It contains taurine and caffeine which are stimulants. If you're having trouble with sleeping it is probably best to not take it later in the day. You could just take it in the morning. It just depends on how yourself, if you struggle with sleep quite often I would recommend not using the product as each individuals tolerance to caffeine/stimulants is different. Do I have to take a break in between finishing a full tub before starting a new one? I thought I read 2 weeks somewhere but can't find the info now. Yes that's correct, you should take two weeks break before starting a new tub. What is better for losing weight and toning muscle, EHP Labs OxyShred or Elemental Shredding Matrix?Thank you. To lose weight and tone muscle, I would recommend taking Elemental Shredding Matrix over EHP Labs Oxyshred. Elemental Shredding Matrix - a protein powder that contains fat loss ingredients and help you tone muscle. EHP Labs Oxyshred- a fat burner that can help you lose weight but will not tone muscle. When is the best times to take this supplement? It is recommended to take 1 scoop in the morning on an empty stomach. Alternatively, on training days, you can take another scoop in the afternoon. However, do not take more than 2 scoops per day. How often do you take the supplement? Before training? 1 or 2 times a day? Thanks. It is recommended on training days to take 1 in the morning and 1 in the afternoon but make sure not to exceed more than 2 a day. Hey will this fat burner be okay to use if I don't go to the gym but I'm active i play rugby league training twice a week and I'm a bricklayer? Yes, you can use it when you are not at the gym and in terms of your situation it shouldn't affect your activities. Is this product safe to use whilst breastfeeding? It's best to speak to your doctor before consuming the product. I train first thing in the morning. Can I take this product as I wake up, then take my pre-workout MusclePharm Assault and go to the gym? Yes you can take Oxyshred in the morning and then your pre-workout Assault. Yes you can take Oxyshred for energy on non-training days and you can take it together with pre workout if you like. Can you take Oxyshred in combination with L-Carnitine? Yes, you can take Oxyshred in combination with L-carnitine. Is this a pre work out? OxyShred is a fat burner. However, it does contain a little caffeine which makes it beneficial for use before training. Can you take Oxyshred and Maxs Cr8 Carnage together? Is it recommended to take them one after another or wait a period of time? The best way to take those two products would be to take OxyShred before training or first thing in the morning. The Cre8 can then be taken post training with your protein shake or food. would it be ok to take a WPI protein shake first thing in the morning, followed by oxyshred, then about 30 minutes cardio before breakfast? Also, if I take Oxyshred in the afternoon will it keep me awake at night? As directed by EHPLabs, OxyShred is best taken on an empty stomach, without protein. As such, we would recommend taking OxyShred first, allowing 30 minutes before a WPI, then doing cardio, then eating breakfast. Can I take this OxyShred and also be taking Max's SuperShred ? Yes, OxyShred and SuperShred will stack together very well and will together support fat loss goals. Is this A-Okay to take as a pre workout with xtend intra and a low carb protein post workout? Absolutely. That would make a great workout stack that would support fat burning. Yes, there is no issue with stacking these two products. How long does a tub of OxyShred last? OxyShred has 60 serves in each tub. OxyShred should last anywhere from 30 days to 4-6 weeks. I am currenlty training to build muscle (5 x week), but I am trying to remove stubborn fat from around my waist line. Can i take this product as well, as protein shakes? Yes, OxyShred can be taken in conjunction with a protein shake. Can you stack this with Max's super shred? Absolutely, those two products will stack very well to assist with fat loss. OxyShred is extremely popular for both men and women. We would recommend starting with a half scoop to assess tolerance. Can I stack my Oxyshred with my Elemental massive muscle fuel? Absolutely, those products can work together to assist with fat loss. How much caffeine is in each serve of OxyShred please? It is difficult to determine the exact dose of caffeine in each serve of OxyShred as the manufacturers have not disclosed this. However, we estimate this to be in the vicinity of 100 mg.
Is the product suitable for vegans or vegetarians? Yes, OxyShred does not contain any animal products. When I run out of OxyShred, how many days or weeks should I wait before I start to consume a new batch? We would recommend around a 2 week break before resuming. Yes, your proposed supplement stack would help you with weight loss and toning. i was wondering, all of there fat burner supplements "pre-breakfast cardiovascular exercise on an empty stomach" what if you go to the gym in the afternoon, do you take it around 20mins before going ? OxyShred can be consumed up to twice a day. We would recommend taking it once first thing in the morning and again before exercise. It would be fine to take a serve before exercise in the afternoon. Can you use this product with Vital strength hydroxy ripped? 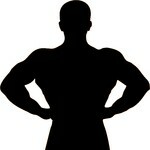 If not which is the best I want to build muscle, loose weight and become leaner? It's fine to use both a fat loss protein and a fat burner at the same time. It is quite popular with many people. However, do keep in mind that both products contain caffeine, so you may wish to space out your serves and/or start off with partial serves to assess tolerance. I train everyday except for weekends. In the morning, once i consume the first batch of OxyShred can i eat straight away? Or do i have to wait 20 minutes? Then in the second dose, before workout I don't consume anything. We would recommend waiting around 20 minutes before consuming food after a dose of OxyShred. This would give the ingredients a better chance of being absorbed more quickly and gives them an opportunity to act before food is consumed. Hi, I was thinking of buying this product for my mother who is 45, not overweight and has no medical problems. Would this product be advised against considering her age? Granted your mother is healthy without medical conditions, OxyShred should be okay for her to use. The maximum dose for OxyShred is two scoops per day. You may take a 2nd dose to get the most out of the product, as long as you can tolerate it. Can i take oxyshred in conjunction with a pre workout sup. such as cellular c4 extreme ? It is generally not recommended to use fat burners and pre workouts together, unless they are taken a few hours apart. Can I take Oxyshred with Vitalstrength define protein??? Stacking those two products should be fine and will complement each other in regards to your weight loss goals. How long does it take to deliver Oxyshred to Melbourne? Mr Supplement uses an air freight delivery service thus we are delivering Oxyshred overnight to all Australian capital cities including Melbourne, Brisbane, Adelaide, Perth & Hobart. The only exceptions are Darwin which generally takes 48 hours & Sydney which may be delivered same business day. Can you take Oxyshred in conjunction with Muscletech Hydroxycut Max or are they to be taken seperately? It is not recommended for fat burners to be mixed. We would recommend making a choice out of the two. Acetyl L-Carnitine, L-Glutamine, Inulin Fiber, L-Tyrosine, Taurine, Ascorbic Acid (Vitamin C), Natural Flavour, Caffeine, Conjugated Linoleic Acid, Sucralose, L-Theanine, Silicon Dioxide, Calcium Silicate, Grapefruit Seed Extract, Guggul Extract Powder, Mangifera Indica, Raspberry Ketones, Beet Juice (Colour), Olive Leaf Extract, Green Coffee Bean Extract, Niacinamide (Niacin), Calcium Pantothenate (Pantothenic Acid), Pyridoxine HCL (Vitamin B6), Riboflavin (Vitamin B2), Thiamine Mononitrate (Vitamin B1), Cyanocobalamin (Vitamin B12), Chromium Picolinate. Take 1 scoop with 295mL of cold water first thing in the morning on an empty stomach. On training days, take another 1 scoop with 295mL of cold water as a pre-workout in the afternoon, no later than 5pm. Avoid eating other foods or drinking a protein shake within 20 minutes aftr consuming OxyShred Ultra Concentration.